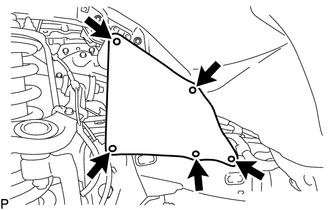 (a) Remove the 5 clips and front fender seal LH. (a) Disengage the 3 clamps to separate the wire harness. 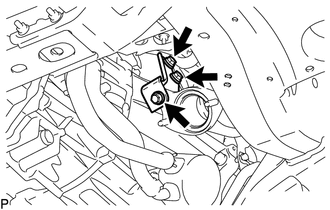 (c) Remove the 2 bolts and 2 compression springs to separate the front exhaust pipe assembly. 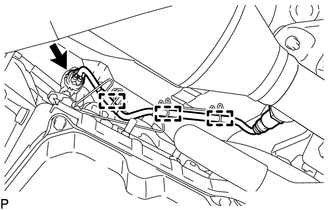 (d) Remove the 2 nuts and front exhaust pipe assembly. 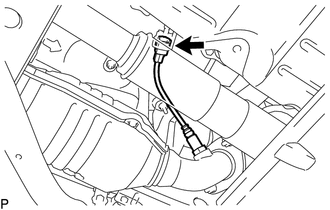 (e) Remove the 2 gaskets from the front exhaust pipe assembly. 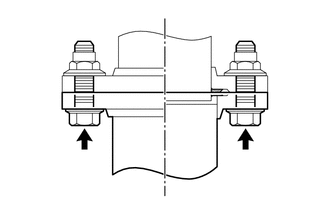 (b) Remove the 2 bolts to separate the front No. 2 exhaust pipe assembly. (c) Remove the 2 nuts to separate the front No. 2 exhaust pipe assembly. (d) Disconnect the front No. 2 exhaust pipe assembly from the exhaust pipe support. 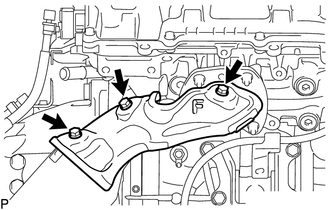 (e) Remove the 2 gaskets from the front No. 2 exhaust pipe assembly. 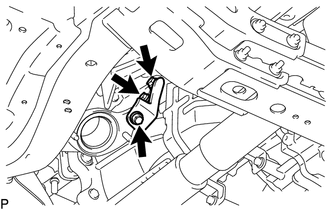 (a) Remove the 3 bolts and manifold stay from the transmission assembly and exhaust manifold sub-assembly RH. (a) Remove the 3 bolts and No. 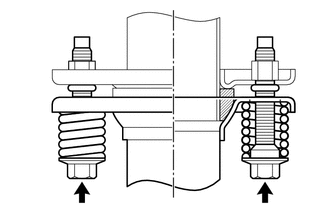 1 exhaust manifold heat insulator from the exhaust manifold sub-assembly RH. 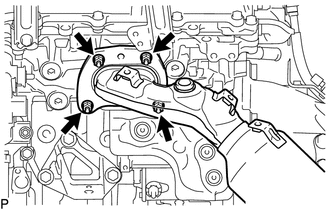 (a) Remove the 4 nuts and exhaust manifold sub-assembly RH from the cylinder head sub-assembly. (a) Remove the 3 bolts and No. 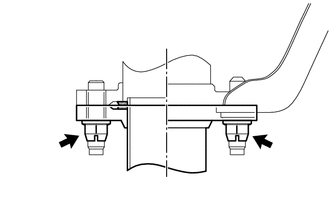 2 manifold stay from the transmission assembly and exhaust manifold sub-assembly LH. (a) Remove the 3 bolts and No. 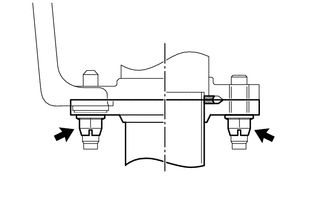 2 exhaust manifold heat insulator from the exhaust manifold sub-assembly LH. 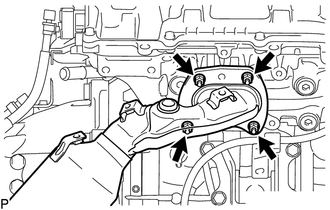 (a) Remove the 4 nuts and exhaust manifold sub-assembly LH from the cylinder head LH. 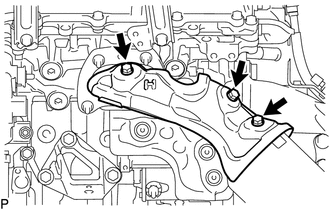 (b) Remove the gasket from the cylinder head LH.